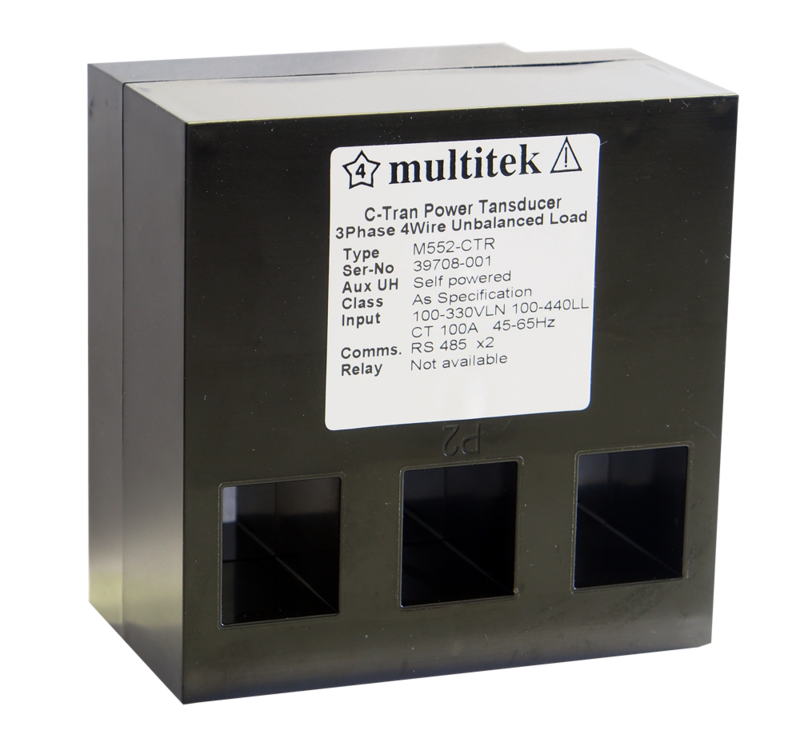 The M552 C-Tran is a Current Transformer complete with an integrated, fully programmable, three phase power transducer. It provides two isolated RS485 communication ports both using Modicon's Modbus protocol. The transducer's accuracy is class 0.2% for voltage and current signals down to 10% Un and 10% In, class 0.3 for power measurements and 1% of reading for energy measurements. (IEC1036), 50-60Hz. 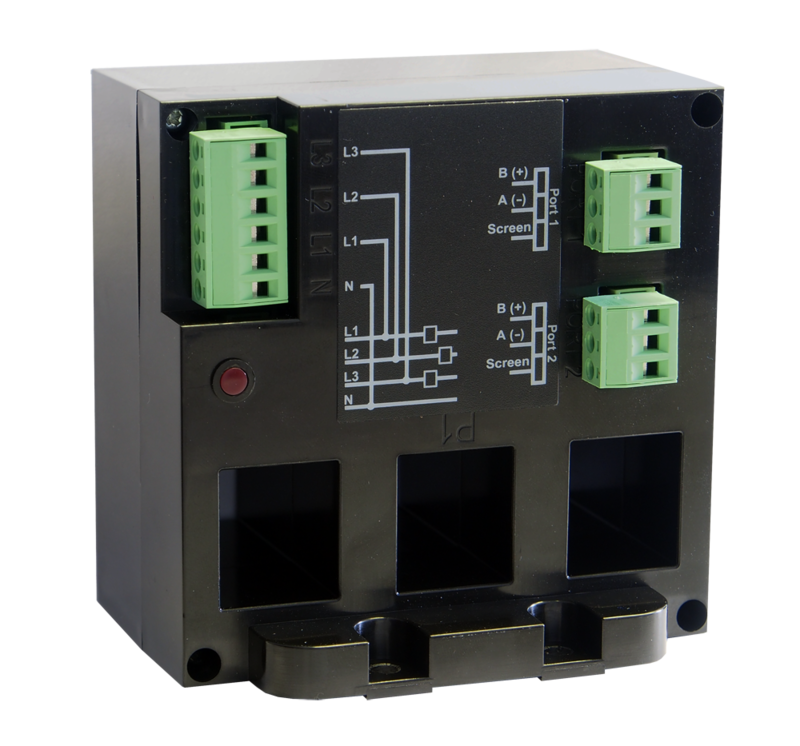 A second RS485 port can be used to drive up to 31 LCD meter style terminals.